Recently launched, the first Southern Wind 82 is now delivered to her owners. Called Feelin' Good, she will start her maiden voyage from South Africa to the Mediterranean. Feelin’ Good is a 24.72m composite sailing yacht with naval architecture by Farr Yacht Design and general design, exterior and interior styling by Nauta Yacht Design. She accommodates six guests in three cabins, with the master suite set forward. 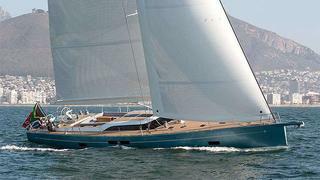 Feelin' Good will make her debut at the upcoming Monaco Yacht Show with the second Southern Wind 102 DS sailing yacht Hevea.